This brush is especially good when drawing the basic lines or the preliminary sketch of a drawing. The beginning of a drawing starts by the lines drawn with this brushes. Yet, it is also good for people who draw directly without preliminary lines since the tip of the brush is thin and firm. This brush is especially good when drawing the basic lines or the preliminary sketch of a drawing. The beginning of a drawing starts by the lines drawn with this brushes. 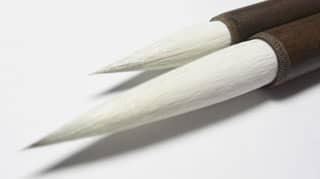 Yet, it is also good for people who draw directly without preliminary lines since the tip of the brush is thin and firm.